Before Beyoncé, there was another artist that young women could relate to. Monica came on the scene as a teenager and has been singing our feelings ever since. Her distinctive voice is so strong and polished. I'm grateful to consider myself a fan. The singer's debut album, Miss Thang, dropped in 1995. She quickly got the attention of girls everywhere with the estrogen-driven single "Don't Take It Personal". Finally, there was a song about PMS that was relaying our emotions regarding relationships. And when things got to be too much, she released "Before You Walk Out My Life". I like that song because it showed Mo's vulnerable side. There's nothing wrong with putting your pride aside and doing what's necessary to keep your man. "Why I Love You So Much" is my go to single from this album. It's just a sweet simple song from the bottom of her heart. It takes me to my happy place. Three years later, Monica released one of my favorite albums, The Boy is Mine. What I love most about her is the fact that her material was age-appropriate. This album has so many hits that it's hard to choose just one favorite. From the sweet ballad "Angel of Mine" to her cover of "Misty Blue", this project was executed beautifully. Her main hit from that album was the duet with Brandy called "The Boy is Mine." The story behind that is interesting because it surrounded a real beef between the two singers. She even had a song about not wanting to give in to her desires on "First Night." 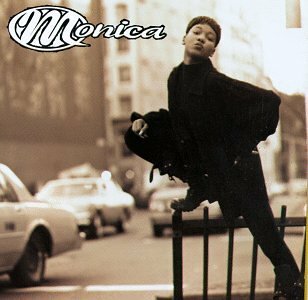 Monica covered songs that the average young woman dealt with and that made her dope to me. Her third album, All Eyez on Me, showed a more grown up Mon. She dealt with personal struggles during this period in her life. Her love interest committed suicide so while she coped with that, she took a break from music. In 2003, Monica returned with the album, After the Storm. She teamed up with producers like Missy Elliott and Jermaine Dupri. My favorite song from that project has to be "U Should've Known Better". Again, Mo shows that she's down for her man, even if he's incarcerated. While she showed how much love she had in her heart, she wasn't afraid to walk away from a bad situation either. "So Gone" painted the picture of a break-up that many of us have experienced. Three years went by and Monica had grown even more. She released her fifth album, The Makings of Me. I wasn't able to really connect with this album for some reason. However, the song "Why Her" stuck out like a sore thumb. In today's society, the idea of the side chick is everywhere and Monica wanted answers. Why the other woman? What was so special about her? Life was beginning to be kind to Mo again. In 2010, BET followed her as she created her next album, Still Standing. This project reminded me of the singer who first caught my attention. She was back to making love songs that pulled at your heart strings. "Love All Over Me" made you think about the best relationship you've been in. "Still Standing" and "Believing in Me" were more about her personal growth and strength. After everything she's endured, it was wonderful to see her resilience. 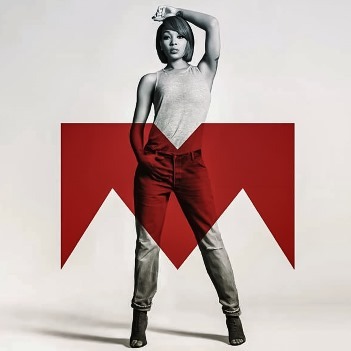 In 2012, Monica released New Life. I do wish it received more promotion than it did but such is life. Again, Mo teamed up with Brandy but this time, they were on the same side. The two ladies matured and empowered women on the song "It All Belongs to Me." Seeing them at peace with one another had me more excited than the song. Her latest album, Code Red, came out last year. She collaborated with Lil Wayne for the song "Just Right For Me" and I absolutely love it. Monica knows how to use the right talent to reach the right audience. She doesn't overdo it and has a loyal fan base. I'm excited for the woman she's become. She's remained beautiful, classy, and humble. That's dope to me.